Metallica is coming back to Belgium! In May 2019, Metallica’s WorldWired Tour starts in Lisbon, Portugal. 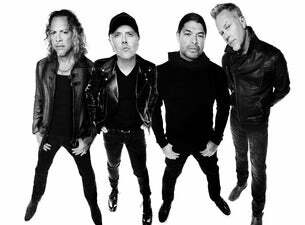 James Hetfield, Lars Ulrich, Kirk Hammett and Robert Trujillo will be playing in the biggest stadiums, the most beautiful parks, and even a castle! 16 Juni 2019 the biggest metal band ever will perform at the King Baudouinstadium in Brussels. Support acts are Ghost and Bokassa. The European leg of Metallica’s WorldWired Tour ends 25 August in Germany. To stay up to date with the latest Metallica news, announcements and offers, click here to sign up and register your interest.